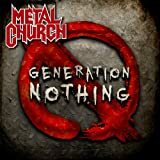 Metal Church Generation Nothing marks the bands 10th full length studio release and boasts the return to the classic metal sound says founding member Kurdt Vanderhoof, It has elements of both the first album and the The Dark, but still embraces the new sound of the band without chasing the past. Generation Nothing combines the best elements of the band’s early roots with modern day lyrical content and a revived hunger that delivers an electric assault of anthemic and epic metal songs! For the Texarkana Community Band, passion for music is shared no matter the age. And for about eight years now, the Texarkana Community Band has mixed it up with musicians of all generations coming together to rehearse and perform band music. Kinetic Affect to perform at First United Methodist Church on October 16, 2010 at 6:00 pm. A $ 10 donation will be requested at the door, children 10 and under get in free. Four comical clerics made their final appearance at a Norfolk church this weekend after deciding to hang up their dog collars and set down their hymn books.